General counsel across the country are all struggling with the same challenges, according to a comprehensive report compiled from on a series of roundtable discussions with more than 50 organisations. Legal executive search and selection firm, Mahlab, have been producing a yearly report on legal market trends in Australia for the past 30 years. This year, however, the company has launched a more in-depth look at the themes that emerged from the report and held talks with various stakeholders across the country including private practice lawyers, partners and general counsel. From August to October this year, Mahlab completed the first series, speaking to general counsel (GC) from some of Australia’s largest corporations. More than 50 organisations were represented from industries including energy and resources, manufacturing, financial services, construction and telecommunications. 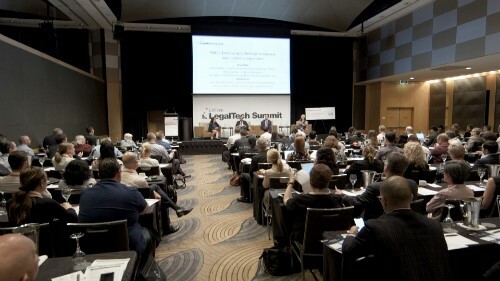 Australasian Lawyer was able to get a sneak peak into one of the trends that emerged: Managing the team. “When you talk to general counsel, you find that themes are so common across the industries,” she says. These constraints, alongside the flattening of the legal department structure into something that is no longer linear poses huge challenges for GC team leaders everywhere. Sampson says retention strategies suggested during the discussions included more work variety, such as a secondment to another part of the business, an overseas legal posting if available, or a rearrangement of client and work allocation. GCs found that international secondments are an effective retention strategy because it provides the lawyer with the challenge and stimulation of working in a new part of the business overseas. In addition, it provides the overseas operation with a lawyer who has an understanding of the company’s business and culture, albeit gained in a different country. The roundtable discussions also revealed that GCs who encourage and promote their lawyers to try something new are more likely to retain them for the company as a whole, if not their own team. “It’s all the different little adjustments you can do to make someone’s career interesting and keep them happy,” says Sampson. Sampson thinks one of the most constructive observations made by the GCs who participated in the roundtables was that at the end of the day, responsibility for an individual’s advancement and job satisfaction rests with that lawyer. A GC can discuss options, make changes to work type, introduce opportunities and encourage their team members. They can train and support, but the lawyer must make their own luck as well. “Put your hand up for things,” says Sampson. In saying this, the discussions also revealed positive trends towards a deep understanding of the value in collaboration and teamwork. There was unanimous agreement that a good GC will go into bat for their team, even at the highest level such as a CEO. Many said they defend their staff against unwarranted negative comments of mistreatment. “The GCs see themselves as the protector of the team. I thought that was really interesting,” says Sampson. Mahlab will continue to delve deeper into challenges and trends across the legal profession with more roundtable discussions. In the New Year there are plans to work with representatives in private practice, as well as continue to explore other issues within the in-house sector.